FASHIONCLASH is always looking to collaborate with future fashion talent. During the Collaborative Unit Project, we challenged the minds and creativity of the students of the University of the Arts London (UAL), London College of Fashion. FASHIONCLASH worked closely with students Caroline Zaidan, Isabelle Violet Thibault, Susanne James and Eleftheria Karipidi on the topic ‘Fashion Makes Sense’, this year’s FASHIONCLASH Festival theme. They were challenged to research the engagement between fashion and the body/senses. And they needed to engage with the public on the issue: How can fashion (designers, consumers, and the industry) nowadays actually connect with the body and human beings instead of being just a simple aesthetic of a symbolic phenomenon? Since fashion is such a multifaceted concept, the ways each of us understands it is quite varied, yet very relevant to the way in which we engage with the industry and the idea of fashion as a focus of study. In the zine that Isabelle, Caroline, Eleftheria and Susanne developed, they explore fashion and its relation to the senses, the psychological concept of enclothed cognition, and the ever-current issue of fashion and the body. They will also be looking at two innovative Dutch designers who embody the theme of ‘Fashion Makes Sense’ with their unique approaches to design. 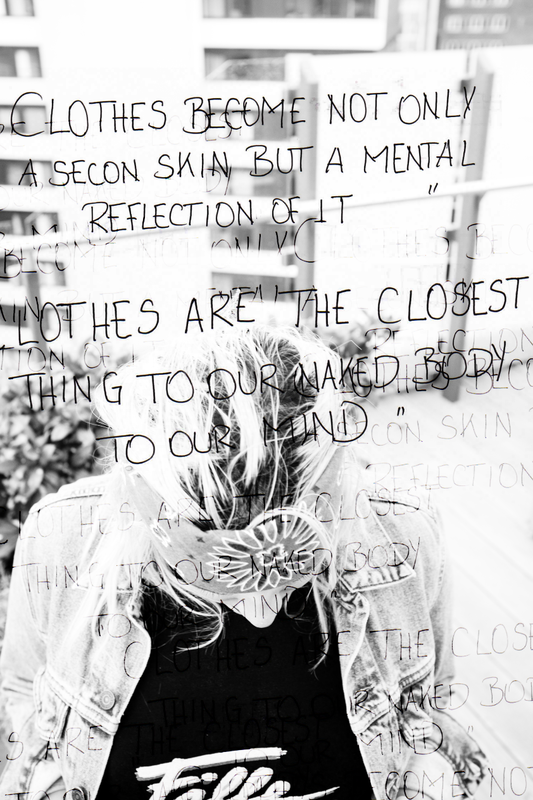 With three psychology students and one journalism student, they put their minds and experiences with fashion together to form a review that explores each concept textually and visually; examining the beautiful and ugly sides of a fascinating industry.